Home » Mattress Guide » What Is A Platform Bed? With the growing popularity of modern furniture, sleek design, and simple furnishing, more and more sleepers are turning toward platform beds to replace their existing bed frame. Platform beds offer some real benefits against other bed frame styles and offer a simple modern aesthetic to the bedroom. Does a platform bed need a boxspring? One of the first questions sleepers may ask when considering a platform bed is does it need a boxspring? A platform bed frame does not require a boxspring. The nature of a platform bed is that there is a supportive base, low to the ground. This base will generally eliminate the need for a boxspring. Note: Some manufacturers have specific guidelines that you must follow to keep from voiding your mattress warranty. Be sure to check with the company before assuming that any mattress does not need a boxspring. There are many different types of bed frames that can be called a “platform bed.” The platform could be solid wood or a metal grid. 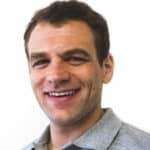 It could be made from a composite material or a modern plastic. There is no shortage of platform bed variations, but the function of all platform bed frames is the same—to support the mattress using material on a single plane. There are four main types of platform beds: solid, slat, metal, and DIY for sleepers on a tight budget. This solid material can be wood, metal, plastic, or even a composite material. 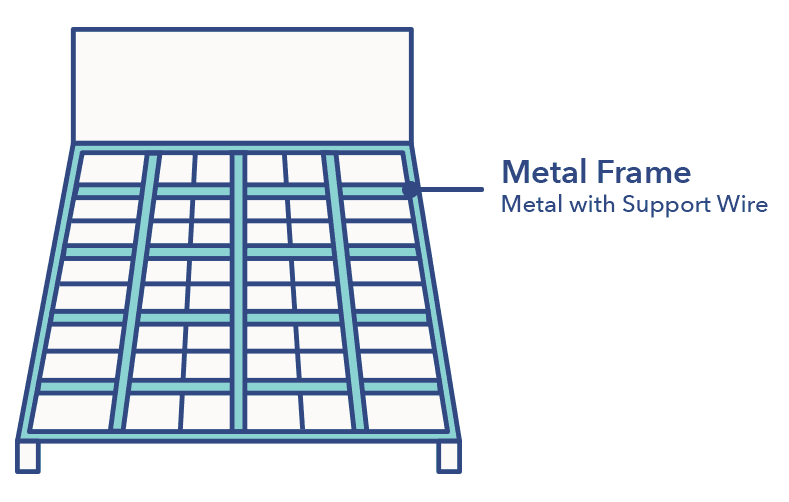 Of these four materials, metal is going to be the strongest and offer the least amount of resistance and play in the frame. 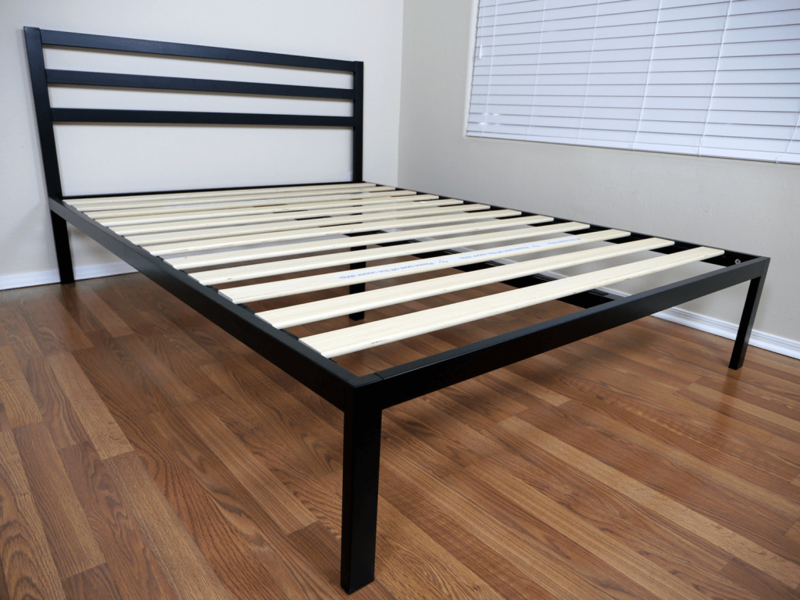 A slat platform bed frame uses slats in place of the solid surface. 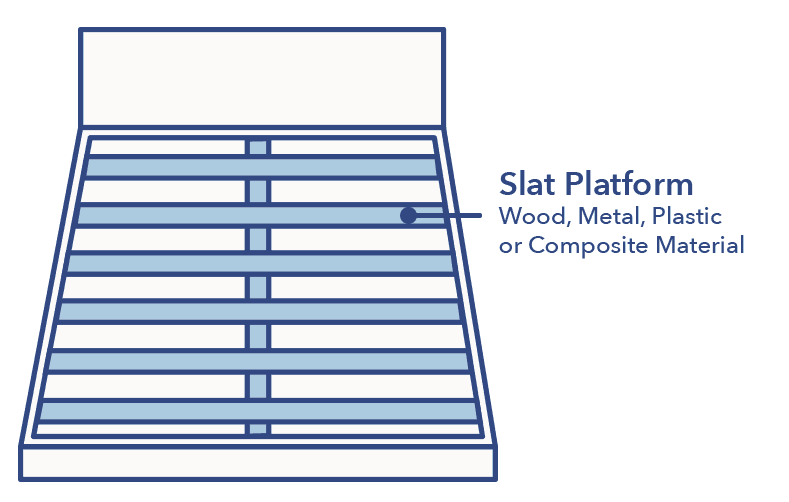 Similar to the solid platform, these slats may be wood, metal, plastic, or a composite. The actual slats may come rigid or flexed. However, you usually only will find flex slats in wood frames (also know as a “euro-base” or “euro-style” slat frame). Flexed slats will come bowed out to counteract the weight of the mattress and sleepers. On the other hand, rigid slats will be straight and offer no give. In general, a rigid slat system is going to be the stronger structural base. Regarding spacing, slats may be up to 6” apart, depending on the width and thickness of each individual slat. The closer together the slats are, the stronger the whole assembly will be. 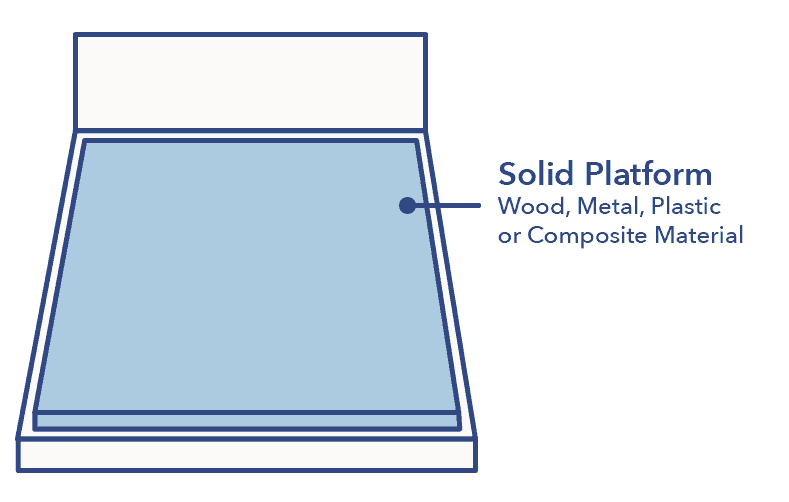 As a general rule, slats gaps of 3″ or less are considered ideal. This type of platform bed offers a bit more of a utilitarian look, but the support is similar. This assembly uses a steel support with rigid secondary steel or wire supports to form the platform. 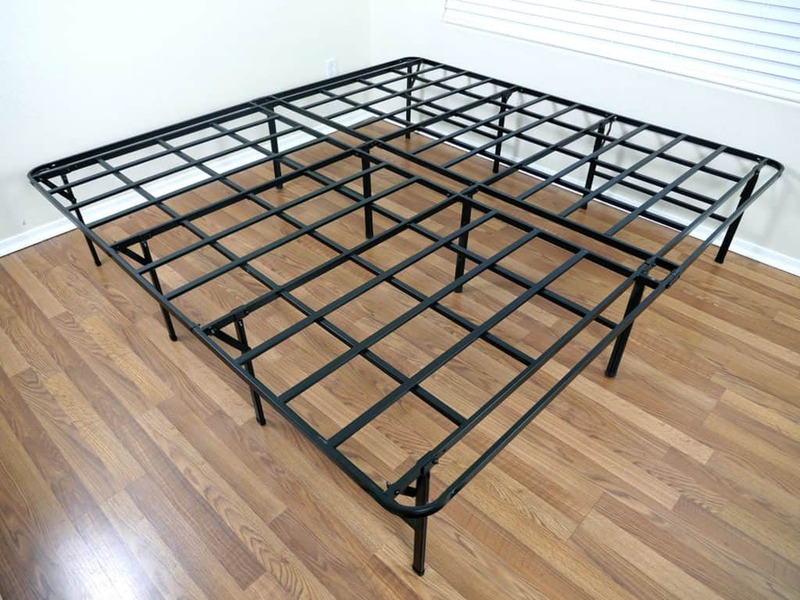 With proper spacing, this metal platform bed provides a strong support for a mattress or mattress / boxspring combo. Although a boxspring is not typically required for these types of frames, metal platform beds can be used with a boxspring as well. Looking for a budget-friendly platform bed? 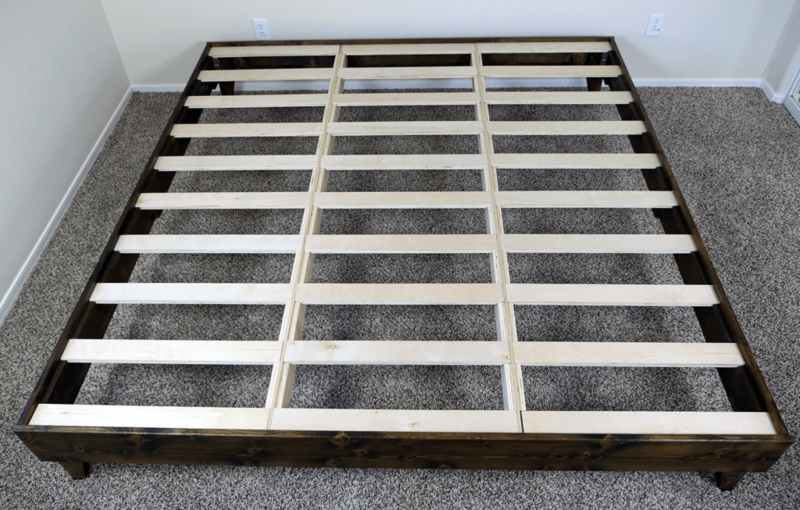 While there are many manufacturers that offer less expensive platform bed options, it is fairly simple to make your own platform if you’re in a pinch. While it won’t be elegant or stylish, it will be supportive. Take a basic metal bed frame and add a 3/4” sheet of plywood cut to the size of your bed frame. You may need two sheets to equal the full size. This provides a solid base to support your mattress. Depending on the frame you’re adding the plywood too you may want to add reinforcing slats to further improve support. Not much for weekend projects? 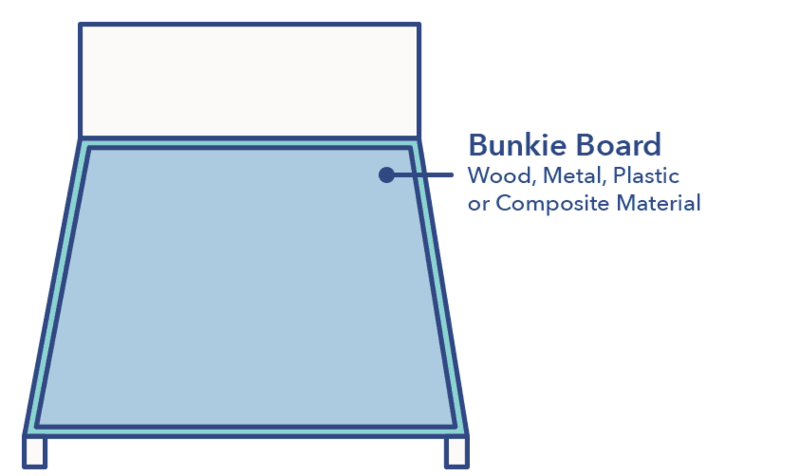 ‘Bunkie boards’ are ready-made support bases that basically have the same effect. They can be made of wood, metal, plastics, or composites and can vary in depth. These also work with existing metal frames, making them a nice choice for sleepers on a tight budget. Should you buy a platform bed? Platform beds offer a sleek, modern aesthetic, and can be a great option for sleepers wanting to skip the traditional boxspring. The supportive base—whether solid, slat, metal, or something in between—offers a strong foundation for your mattress. That being said, platform beds are not for every sleeper. If you have trouble getting in and out of bed or suffer from back pain, a platform bed may not be the right choice, since the lower height makes them inherently more difficult to get in and out of. Check out our complete guides on bed frames, foundations, and box springs for more information.